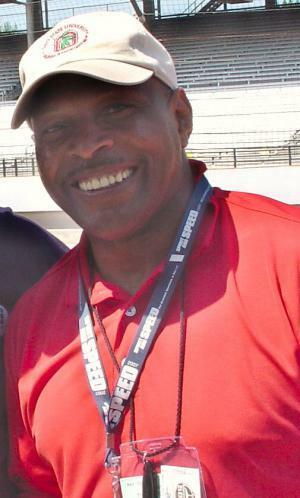 Archie Griffin was born on the 21st August 1954, in Columbus, Ohio USA, and is a former professional American Football player, who played as a running back in the NFL for the Cincinnati Bengals from 1976 to 1982, and is best known for winning the Heisman Trophy twice, the only player to do so. While at Ohio State University, Griffin won four Big Ten Conference titles with the Buckeyes, and had four Rose Bowl starts, the first to do so. His career started in 1976 and ended in 1985. Have you ever wondered how rich Archie Griffin is, as of early 2017? According to authoritative sources, it has been estimated that Griffin’s net worth is as high as $3 million, an amount earned through his successful career as a pro football player, and subsequently as a business executive. Archie Griffin was a son of Margaret and James Griffin, and grew up in Ohio with his six brothers and a sister. He went to the Eastmoor High School in Columbus, and recorded 1,787 rushing yards and scored 29 touchdowns in his senior year, leading the school to the Columbus City League championship with a win over the Linden-McKinley High School. From 1972 to 1975, Griffin played football for the Buckeyes at Ohio State University, leading the team in rushing yards with 867 in his freshman year 1,428 yards as a sophomore, 1,620 yards as a junior, and 1,357 as a senior. He ended his college career with 6,559 all-purpose yards and 26 touchdowns, and is one of only two players with four Rose Bowl appearances (the other is Brian Cushing). In 1986, Archie was inducted into the College Football Hall of Fame, while Ohio State enshrined him in their own Varsity Hall of Fame in 1981. The Cincinnati Bengals selected Griffin as the 24th pick overall in the 1976 NFL Draft, and he stayed with them the next seven season, reaching the Super Bowl XVI, which the Bengals lost to the San Francisco 49ers, 21-26. Although phenomenal during his college days, Griffin was less successful at the professional level, rushing for 2808 yards and seven touchdowns, and receiving 192 passes for 1607 yards and six touchdowns in his seven-year stint with Cincinnati. Archie ended his playing career with the Jacksonville Bulls of the United States Football League in 1985. After his retirement from football, Griffin became President and CEO of The Ohio State University Alumni Association and is also a spokesman for the Wendy’s High School Heisman award program. He serves on the Board of Directors for Motorists Insurance and is one of the investors in Mandalay Baseball Properties LLC, along with former NBA star Magic Johnson. Currently he maintains ‘hands-on’ contact with football, as an assistant coach at Saginaw Valley State University in Michigan. Regarding his personal life, Archie Griffin has been married to Bonita since 1987, and they have three sons. 1 Inducted into the International Sports Hall of Fame in 2013. 2 Played for the NFL's Cincinnati Bengals (1976-1982) and USFL's Jacksonville Bulls (1985). 3 Inducted into the College Football Hall of Fame in 1986. 4 As a running back for The Ohio State University, he became the only two-time winner of the Heisman Trophy Award (1974, 1975).